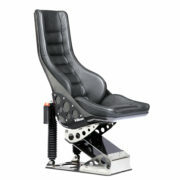 The bucket seat is a suspension seat inspired by power boats and F1 racing. Ullman bucket seats gives full support and protection for crew on board high speed boats where space is limited and light weight is crucial. 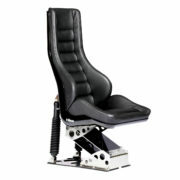 The Ullman bucket seat offers an anatomic seat and back rest, lateral support. It is proven solution that has been tested and accepted by several organizations and proven itself a suspension seat to rely on.